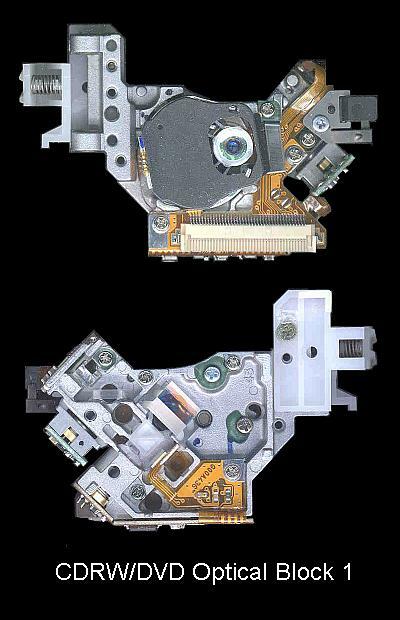 This is a complete list of the files which constitute Sam's CD FAQ (Official name: Notes on the Troubleshooting and Repair of CD Players and CDROM Drives). 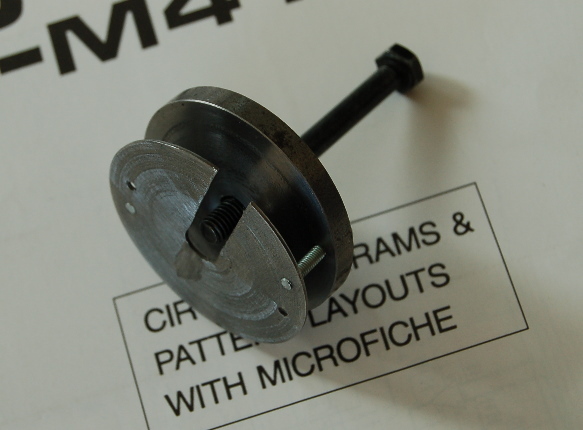 There are additional diagrams and schematics included within the HTML file itself. Those that are listed here are only the ones that are in .ps, .gif, .jpg, or other graphics or compressed format. 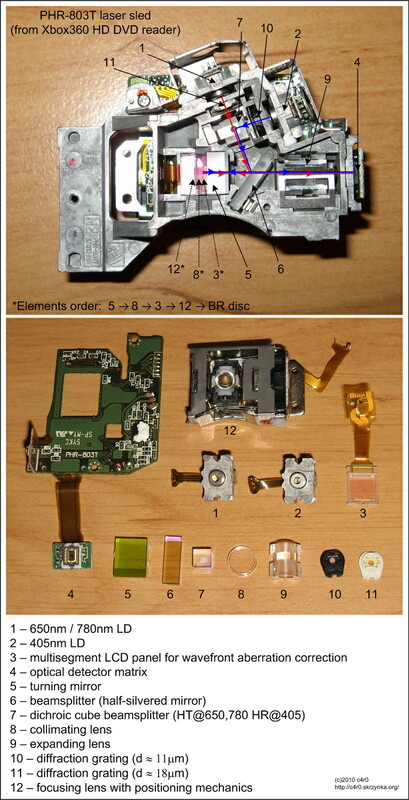 Sam's CD FAQ Components (This file, cdfil.htm). 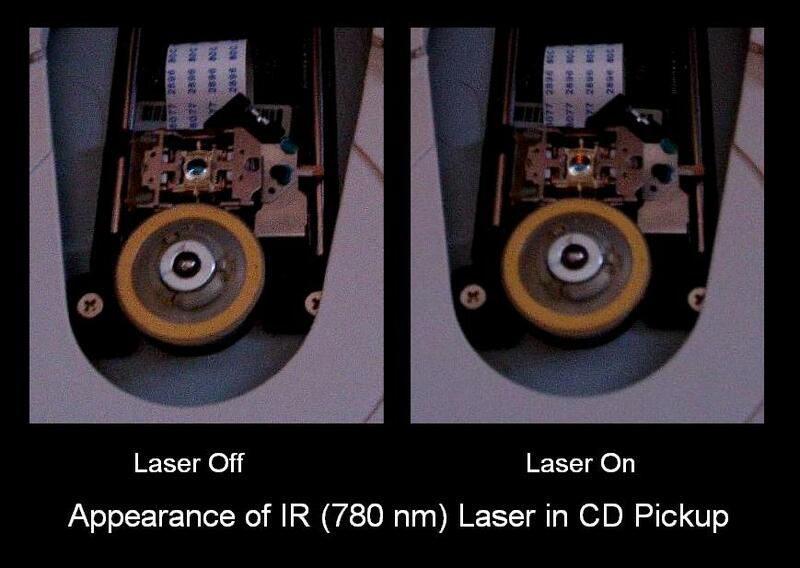 Appearance of IR (780 nm) Laser in CD Pickup (cdlaser1.jpg). 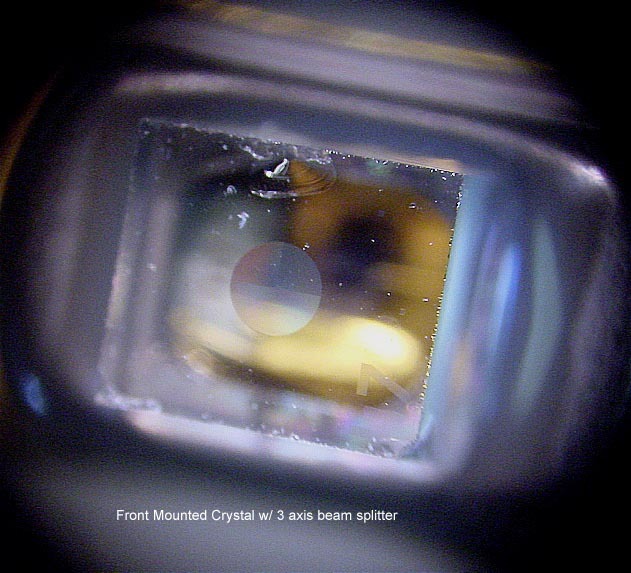 General Three-Beam Optical Pickup Organization (cdt3bp.pdf). Sony KSS361A Optical Pickup Organization (cdkssp.pdf). 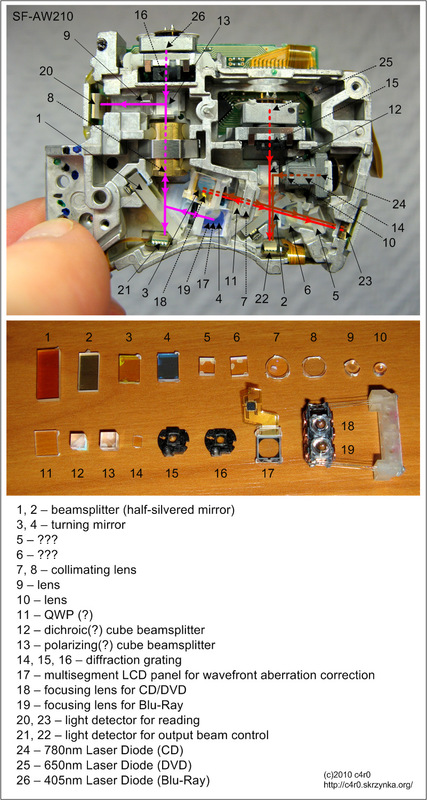 Simple Single-Beam Optical Pickup Organization (cds3bp.pdf). 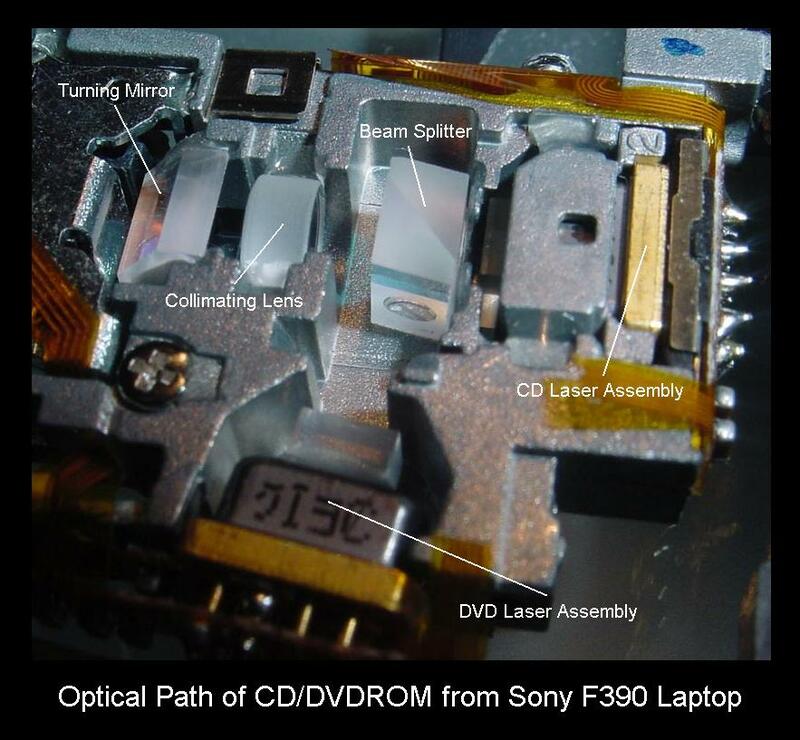 Optical Path of CD/DVDROM from Sony F390 Laptop (dvdop1.jpg). 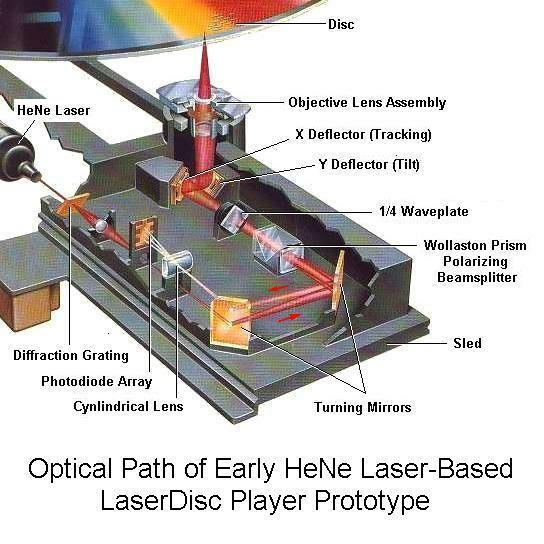 DVD Laser Holographic Optical Element (3bhoe.jpg). 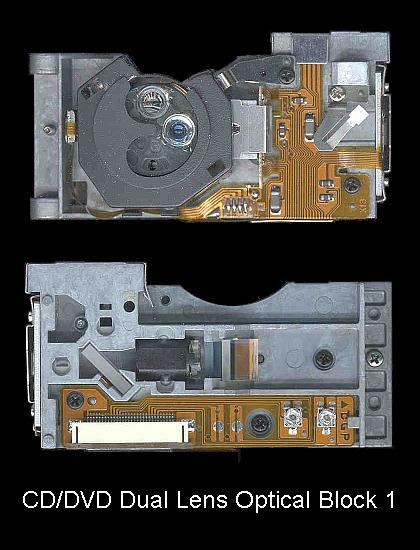 RCA RP-7903A Portable CD Player (Cover Removed) (rp7903a.gif). Sony KSS110C Optical Pickup (kss110c.gif). 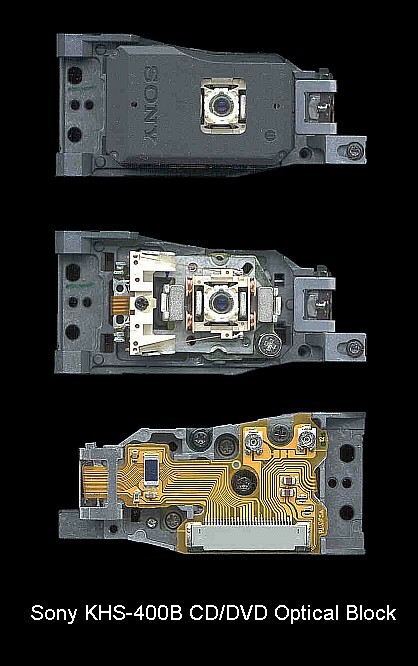 Interior View of Combined LD/PDA Hologram Laser from Philips CR-206 CDROM (cldpda1.jpg). Pioneer CD Player Optical Deck (pd5100.gif). 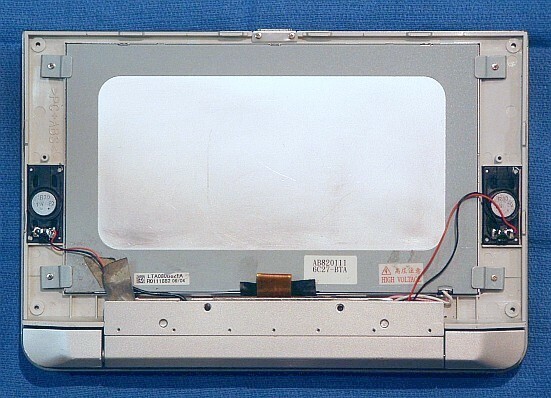 Sony D-2 CD Player Optical Deck (d2.gif). Sony D-14 CD Player Optical Deck (d14.gif). 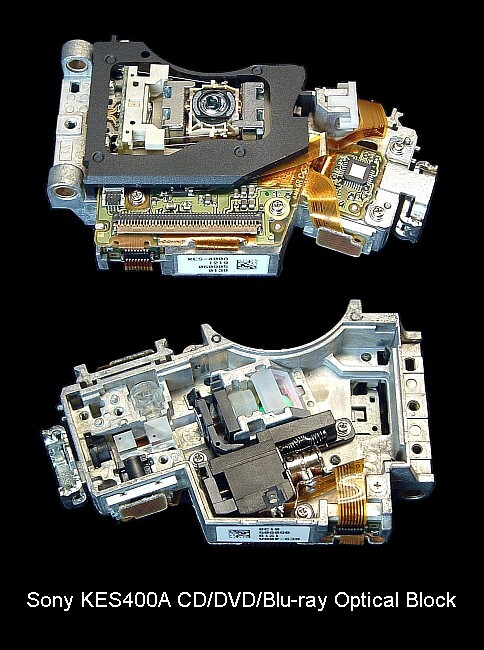 Philips CD Player Optical Deck (philcdp.gif). Sony CDU-31/33A CDROM Optical Deck (cdu31a.gif). Sony CDU-8001 CDROM Optical Deck (cdu8001.gif). 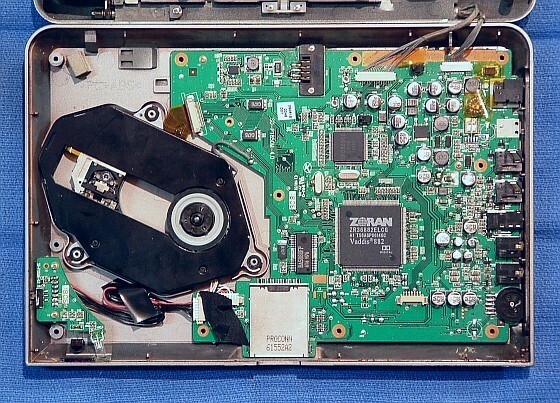 Philips CR-206 CDROM Optical Deck (cr206.gif). Philips PCA80SC CDROM Optical Deck (pca80sc.gif). 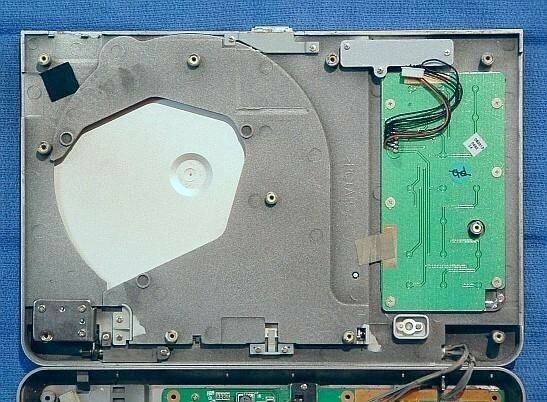 Teac CD-532S CDROM Drive (cd532s.gif). Toshiba SD-M1212 DVDROM Drive (sdm1212.gif). CD/DVD Dual Lens Optical Block 1 (cddvd1.jpg). CDRW/DVD Optical Block 1 (cdrwdvd1.jpg). 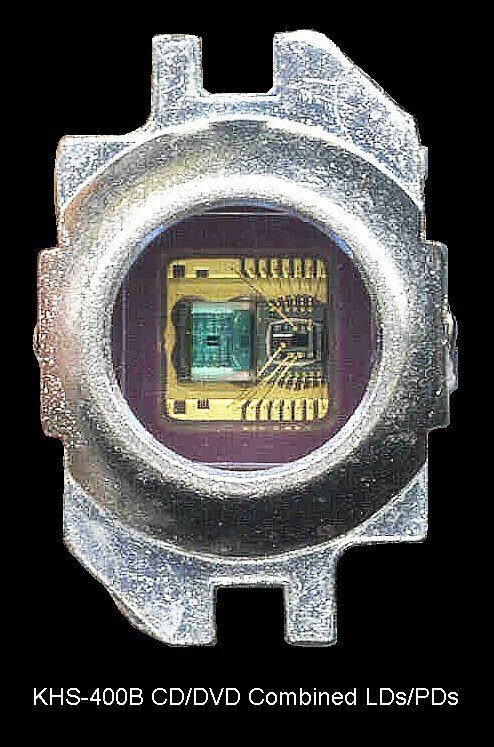 KHS-400B CD/DVD Optical Block (khs400b1.jpg). KHS-400B CD/DVD Combined LDs/PDs (khs400bd.jpg). 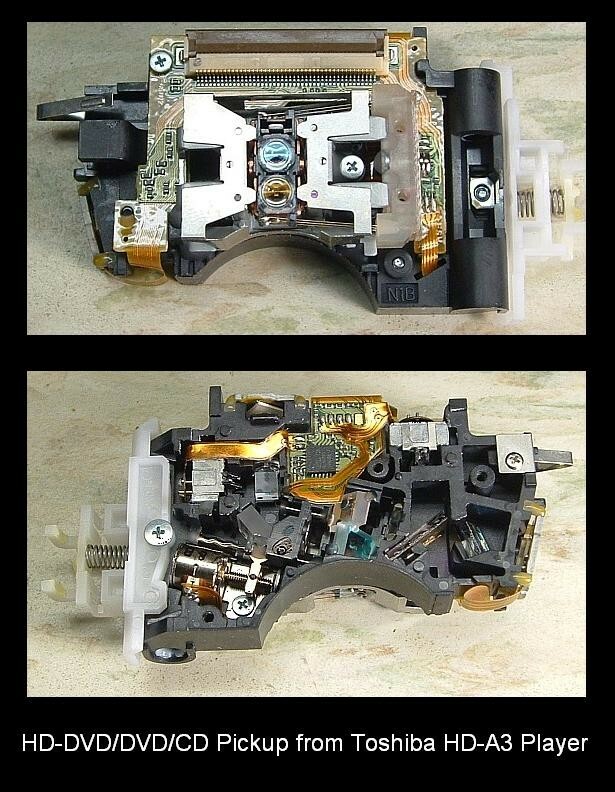 Sony PVR-802W CD/DVD Optical Block (pvr802w1.jpg). 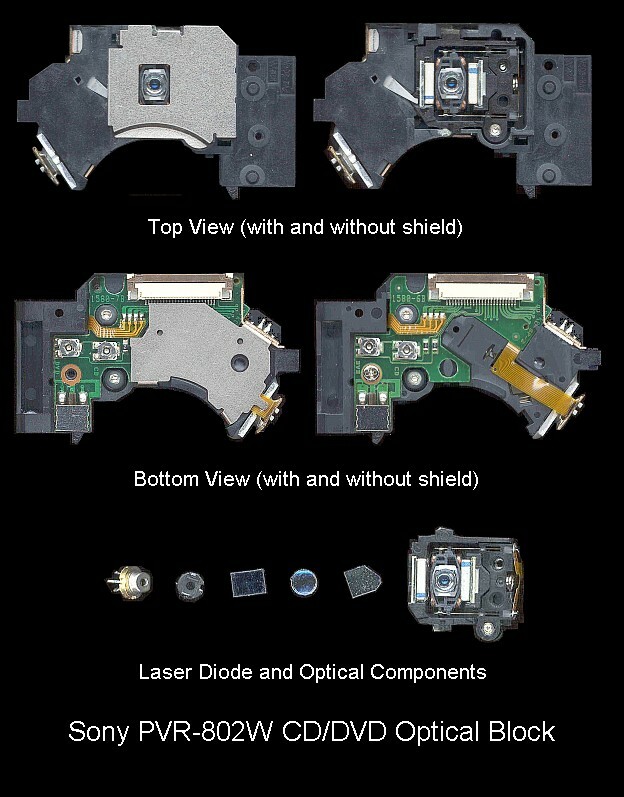 Panasonic UJ8D1 CD/DVD RW Optical Block (puj8d1p1.jpg). 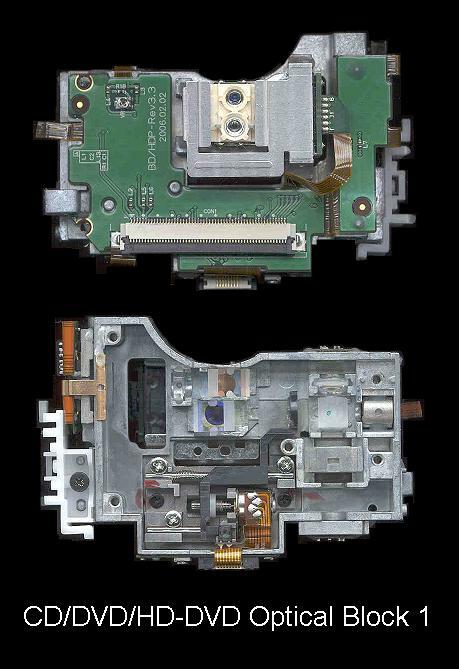 Optical Paths of Panasonic UJ8D1 CD/DVD RW Drive (puj8d1bp.gif). Sony KES-400AAA CD/DVD/Blu-ray Optical Deck (kes400a0.jpg). 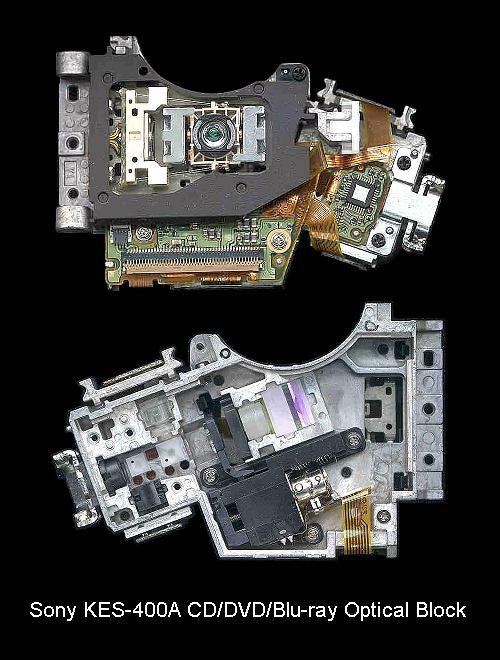 Sony KES-400A CD/DVD/Blu-ray Optical Block View 1 (kes400a1.jpg). 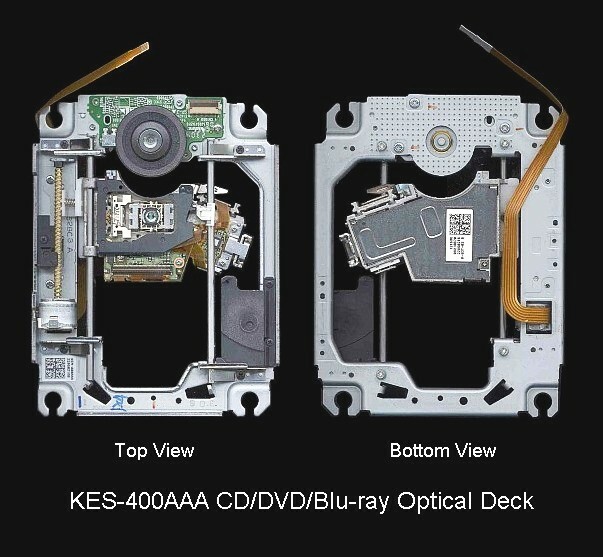 Sony KES-400A CD/DVD/Blu-ray Optical Block View 2 (kes400a2.jpg). 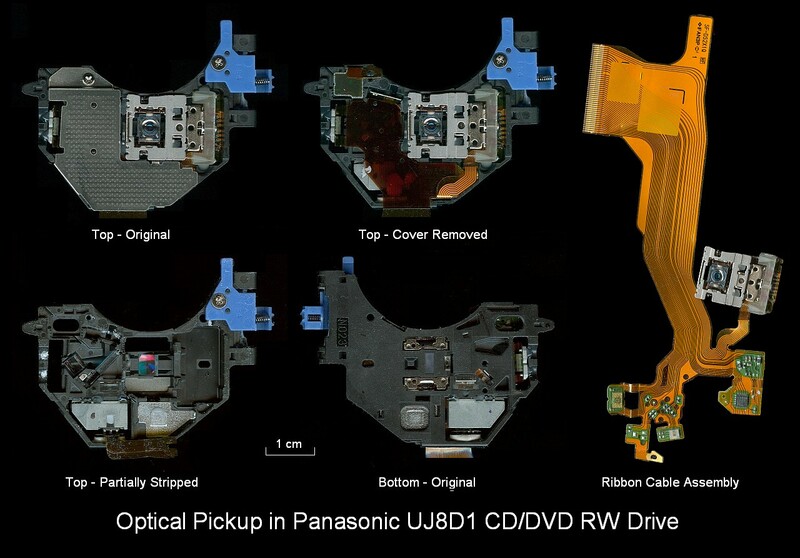 SF-AW210 Blu-ray Optical Pickup - Exploded View with Annotation (sf-aw210.jpg). CD/DVD/HD-DVD Optical Block 1 (hddvd1.jpg). HD-DVD/DVD/CD Optical Pickup from Toshiba HD-A3 Player (hda3op.jpg). Toshiba DRO-811 HD-DVD/DVD/CD Optical Pickup (dro811t.jpg). 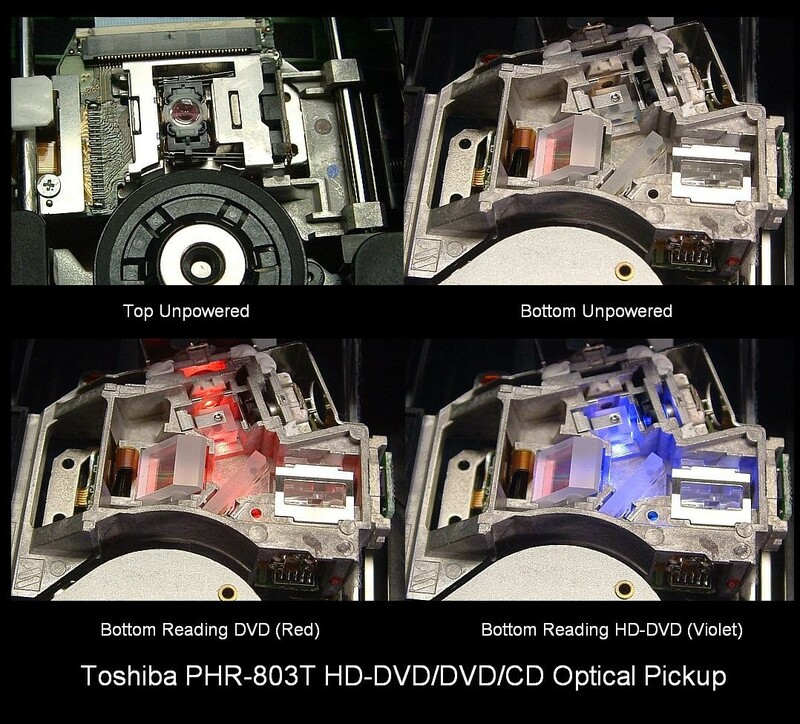 Toshiba PHR-803T HD-DVD/DVD/CD Optical Pickup (prh803t.jpg). 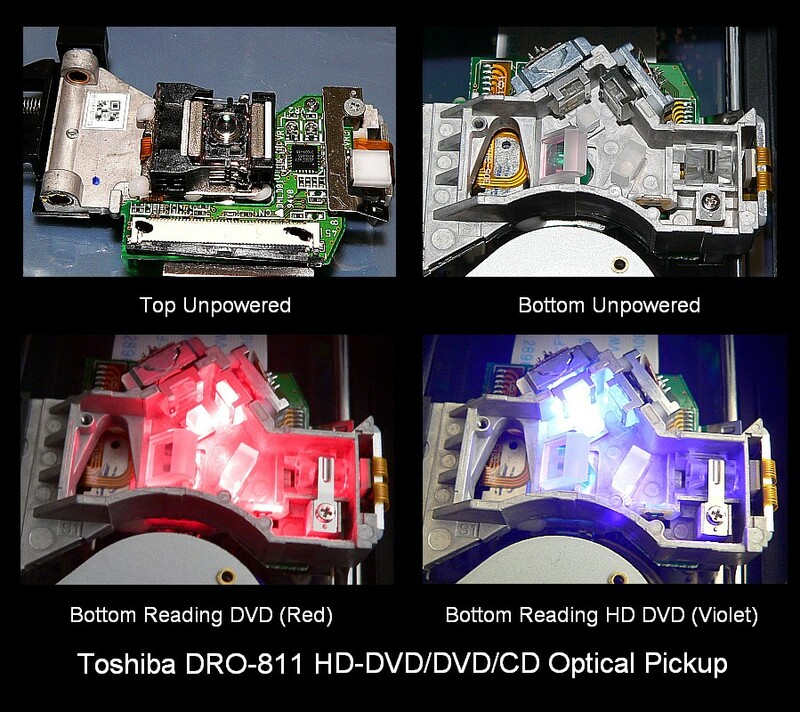 Toshiba PHR-803T HD-DVD/DVD/CD Optical Pickup - Exploded View with Annotation (prh803ta.jpg). 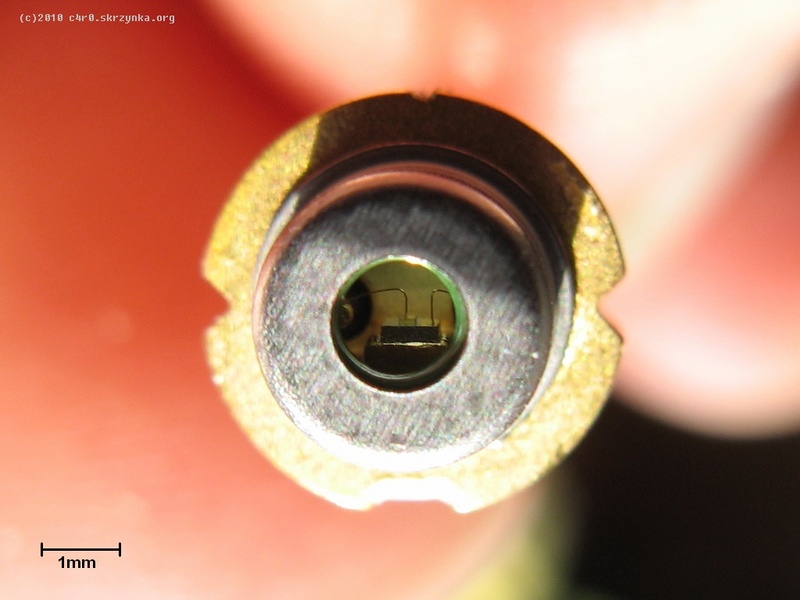 Toshiba PHR-803T HD-DVD/DVD/CD Optical Pickup - Closeup of 405 nm Laser Diode (prh803tl.jpg). 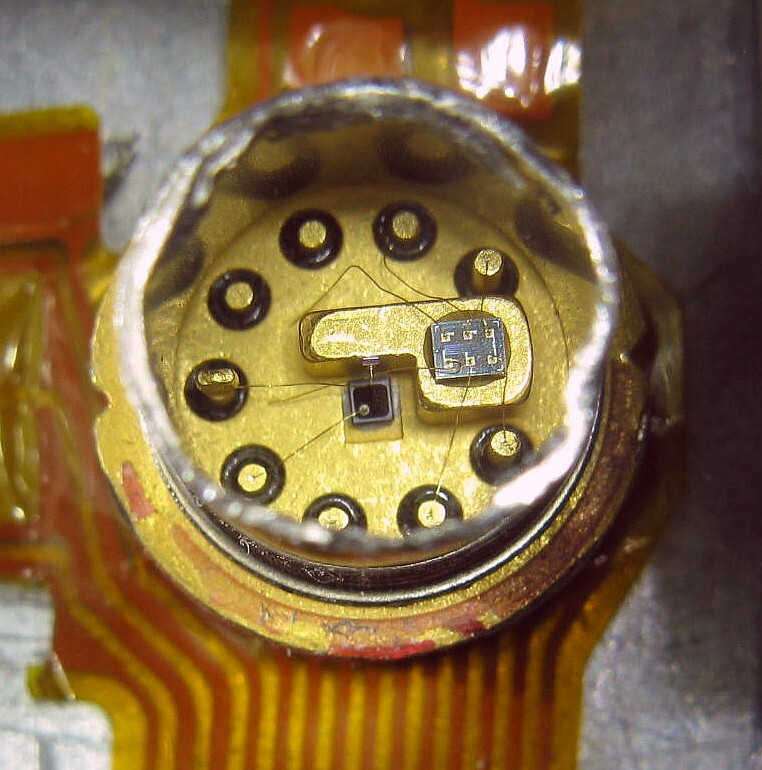 Closeup of Laser Diode from Sony KSS361A Optical Pickup (kssld.gif). 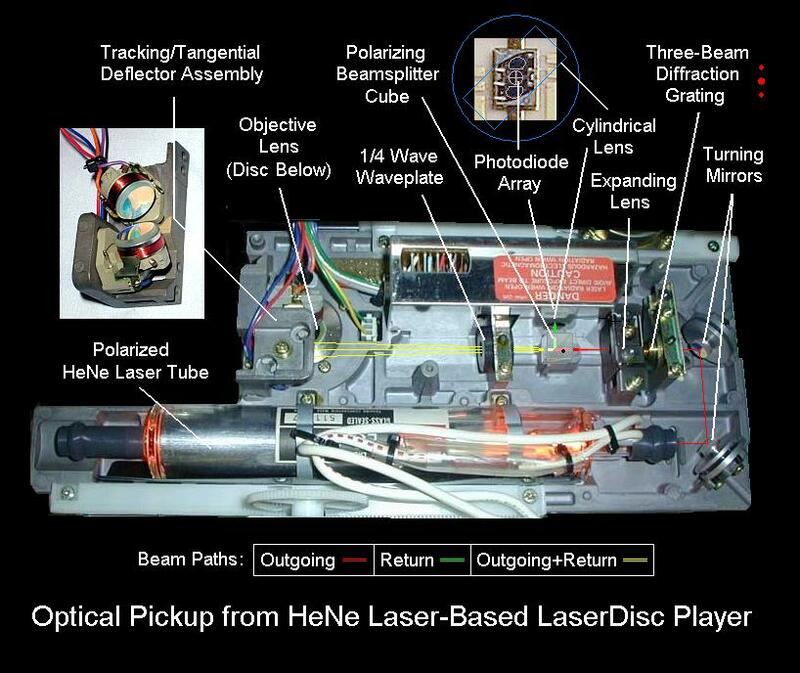 Optical Path of Early HeNe Laser-Based LaserDisc Prototype (ldop2.jpg). SD-KP19 - Rear of LCD Panel, Backlight Inverter, and Connector PCB (sdkp19l.jpg). SD-KP19 - Underside of Deck and Button Panel PCB (sdkp19d.jpg). SD-KP19 - Mainboard, Power/Remote PCB, and DVD Drive (sdkp19d.jpg). Home-Built CD/DVD Spindle Table Puller (puller1.jpg). CD Player Eye Pattern (cdeye.gif). Go to Sam's CD FAQ.